In order to create iPhone apps for the iOS devices (iPhone, iTouch, iPad, iPad Mini), I discovered that I have to learn just enough syntax of the C Programming Language, the Objective-C Programming Language, and the Swift Programming Language. If you’ve never created apps for Apple’s hand-held devices (iPhone/iPad), then you should definitely read lessons in the order presented in the tables below. 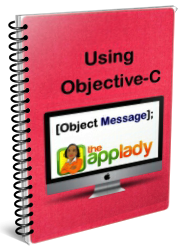 By doing these lessons, you learn how to use the Software Development Kit (SDK) and basic syntax of C, Objective-C, and Swift. You need to learn basic syntax of these programming languages so you can write code that make an app work. Without code, an iPhone/iPad app will be useless to the user. Once you’ve completed above workshops, you should move on to workshops presented in other areas of The App Lady website. Once a week, I post a workshop, along with source code on the site.